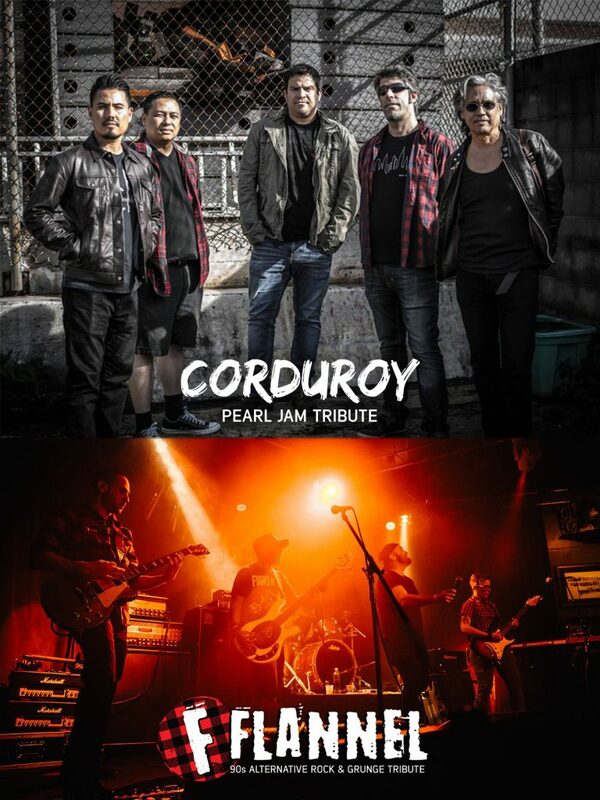 Don’t miss Pearl Jam VITALOGY 25th Anniversary Album Release Concert by Corduroy – Pearl Jam Tribute. Corduroy will be playing the entire Vitalogy Album + Pearl Jam Greatest Hits. We’ll be starting this show off right with FLANNEL, rocking 90s Alternative Rock & Grunge hits! Flannel is the Bay Area’s premiere ’90s Alternative & Grunge Tribute Band and covers ’90s favorites from Nirvana, Pearl Jam, Stone Temple Pilots, Foo Fighters, Green Day, Soundgarden, Smashing Pumpkins, Alanis Morissette, No Doubt, Weezer, 4 Non Blondes, Rage Against the Machine, Red Hot Chili Peppers, and more! Turn your next show, private party, corporate event, or festival up to 11 with FLANNEL!